Jewish women in America: An historical encyclopedia by Paula E. Hyman and Deborah Dash Moore, editors. Encyclopedia of American Jewish history by Stephen H. Norwood and Eunice G. Pollack, editors. Information on Jewish history, Israel, U.S.-Israel relations, the Holocaust, anti-Semitism and Judaism. This course research guide contains assignments and helpful links for American Studies 253: A Social History of Jewish Women in America. 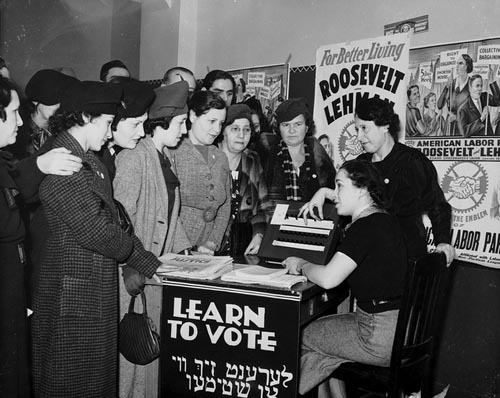 Women surrounded by posters for Roosevelt, Lehman, and the American Labor Party and a Learn to Vote sign in English and Yiddish,1935. Photo by Kheel Center at Cornell University and used under Creative Commons license. Interested in more classes in Jewish Studies or American Studies? Beginning in Fall 2012, you can major in Jewish Studies. You can also minor in Jewish Studies or Modern Hebrew. The Carolina Center for Jewish Studies, an interdisciplinary academic program in the College of Arts and Sciences that promotes a deeper understanding of Jewish history, culture and thought through its teaching, research and community outreach initiatives, has information about these programs and other events related to Jewish culture. 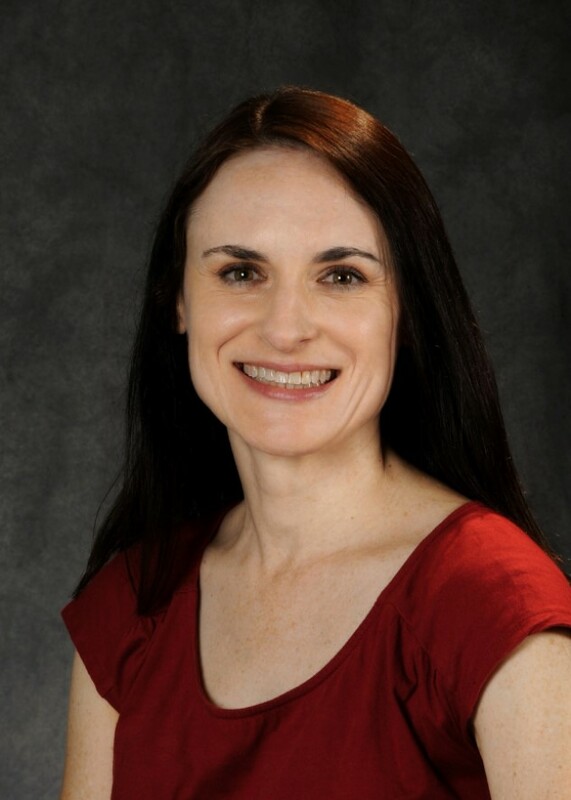 The Department of American Studies offers a major and a minor, both with interdisciplinary approaches that empower students to value the complexity of the US by engaging with a variety of historical, literary, artistic, political, social, and ethnic perspectives. Interdisciplinary, international database covering the core literature of the field of women's and gender studies with links to full text. A major index to journal articles, book reviews, and essay collections in the field of religion. The ATLA Religion Database covers over 1,400 journals, including over 600 being currently indexed, and nearly 16,000 collections of essays. and Methodist Reviews Index, 1818-1985. Provides an image archive of important scholarly journal literature in nearly all the humanities and social sciences disciplines, international and foreign areas studies, and many of the sciences. UNC patrons have access to extensive retrospective holdings of hundreds of journals, starting with the first issues. Excludes the most recent 2-5 years of currently available journals. Coverage: Varies. Excludes most recent 2-5 years of currently available journals.